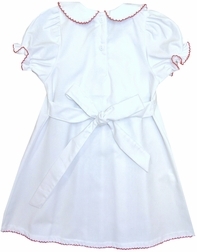 A pretty little white dress by Sweet Dreams, perfect for Christmas! 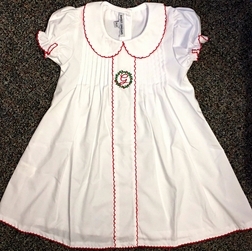 It has red picot trim on the collar, sleeves, center pleat and hem. 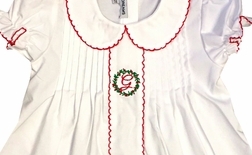 The center pleat can be monogrammed in red with 1 or 3 initials. 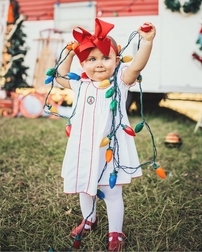 So dainty and sweet!